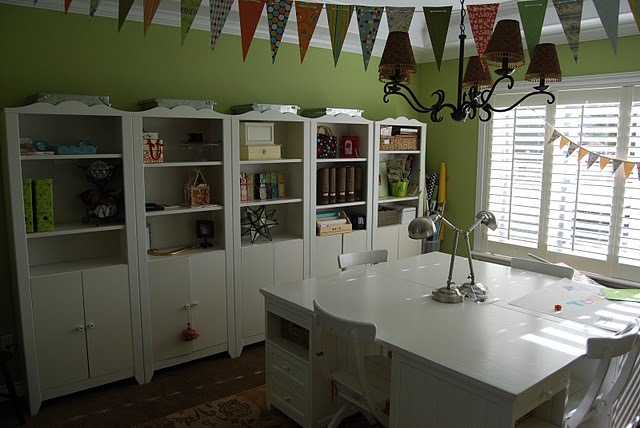 Our nursery is featured on Paint Colors Blog today! Have you been to this site? It’s amazing! Kristin, the lovely blogger behind the Paint Colors Blog, posts a few simple photos with the name of the paint and a link to blogs where the colors are featured. I think this is such a great idea for a blog and we are thrilled to have our Flagstone Grey nursery featured today. I have found way too many colors I like while looking through Kristin’s galleries. This Sparkling Apple by Behr office/craft room makes me want to get moving on a creative space in our home. If you are struggling to find the perfect color for any room, take a peek at Kristin’s site for ideas galore! Enjoy!